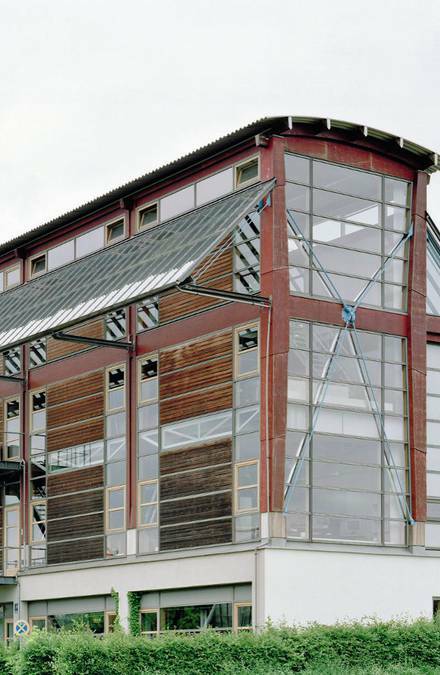 We place a high value on providing professional assistance at each stage of your projects. As a result, we want to deliver perfect service, both via our architects’ portal and with the personal support we give. Our media center includes all the information required for you to download directly. For more information, for example on “Office for Motion”, go to “Topics". And for personal support, feel free to contact our highly professional contacts. We can provide comprehensive advice on seating, conference and communications. Our services range from initial support to customised planning and project management, in other words all the phases necessary to implement your project successfully. 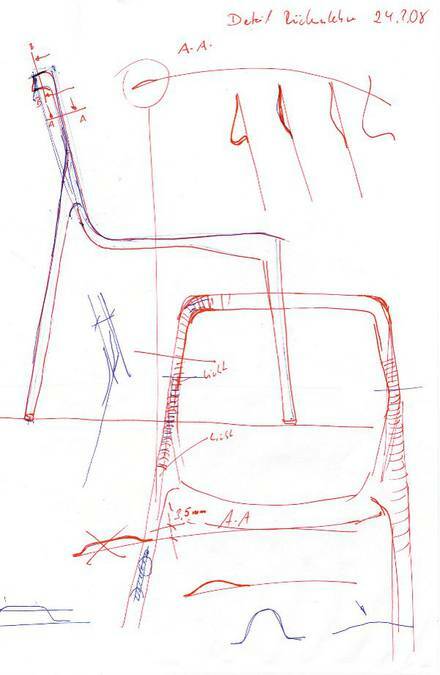 The fabric lends each chair its own personality, re-creating appealing working environments again and again. The materials and colours available open up diverse, customised designs. Different textures ensure a whole host of haptic experiences. Wilkhahn has a premium-quality solution for any demand. Plain colours or mixed tones, with fine or distinctive textures are possible. The covers and craftsmanship are vital to the look and feel of seating. But it‘s the padding that‘s responsible for comfort. We’re talking about characteristics that only reveal themselves once the furniture is used. 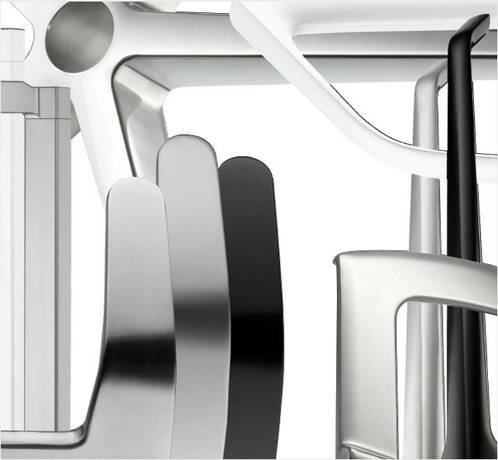 This is where our 100 years of experience in seating manufacturing comes to the fore. 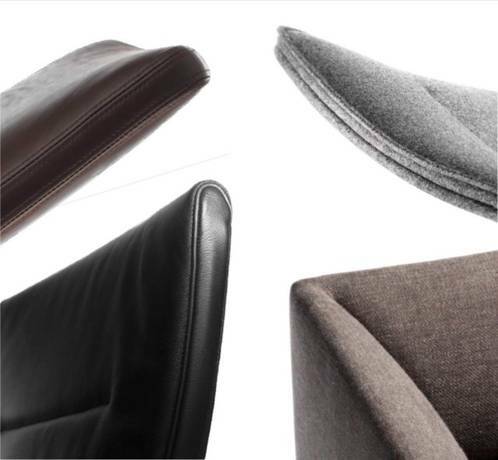 Whether permanently elastic high-tech shells, breathable foams, natural nonwovens, frames with materials stretched over them, or luxurious sprung cushioning, we develop the upholstery technique best-suited to the seating. We then thoroughly test the entire product in our in-house lab. Frame surfaces are driven by design and function requirements. The colours of powder-coated surfaces provide particularly interesting design options, but scratch more easily than bright chrome-plated frame components. These on the other hand reflect light and their surroundings. Natural or matt-polished surfaces look authentic, but are slightly more time-consuming to care for. Whatever the priorities, we have the right surface. The same applies to table surfaces. The surface is the first thing that catches your eye when you enter a conference room and sit at the table later on. And not just in terms of appearance, but also haptics. Because hands and forearms are often where skin contact occurs. Therefore choosing the right table surfaces is crucial. Important points to remember are the interior-design concept and the sensitivity of surfaces to scratches or dirt. 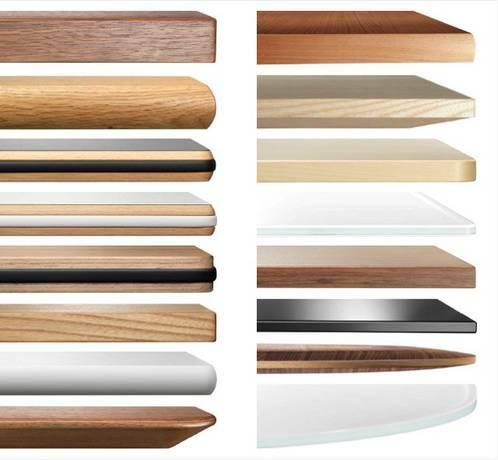 Another aspect is whether all table tops are to be the same or different, allowing a variety of combinations. So it‘s important to consider what the furniture is destined for. 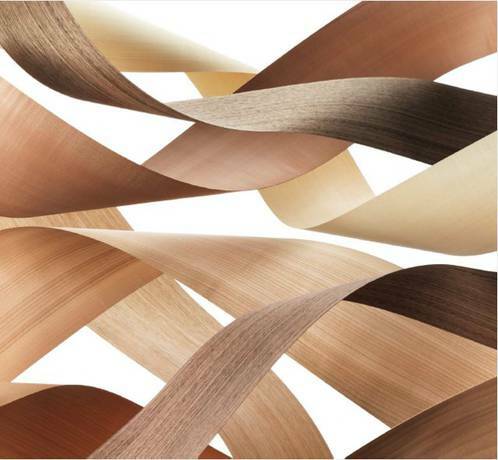 Everything else comes down to precision workmanship, especially if wood veneers are chosen. Only a fraction of the wood available is turned into veneers, of which only a tiny proportion of those meet Wilkhahn‘s quality standards. Of course it goes without saying that we only source wood from sustainable forestry. Linoleum is also a very pleasant natural material that feels warm to the touch. It’s also a very good base to write on. Hard and tough laminate is also the most robust and practical material to care for. Table edges shouldn’t just be pleasant to touch, but also attractive to look at. Do you want the table system to look lightweight, or solid? Subtly curved, or with straight lines? Chamfered, straight and bullnose lipping can be selected to co-ordinate with the table ranges. The table edges can also be made from the same solid wood as the veneer. Bullnose wooden edges with integrated impact-resilient profiles are other Wilkhahn specialities. They were developed for mobile tables, but also cut a dash in static systems. Elastic rubber profiles make the table tops look slender and protect them from damage too. Natural wood edges give laminate or linoleum tables a more stylish look. Glass table tops made of single-pane–reinforced glass coated on the bottom are further options in the Concentra, Conversa, Graph and Asienta ranges. 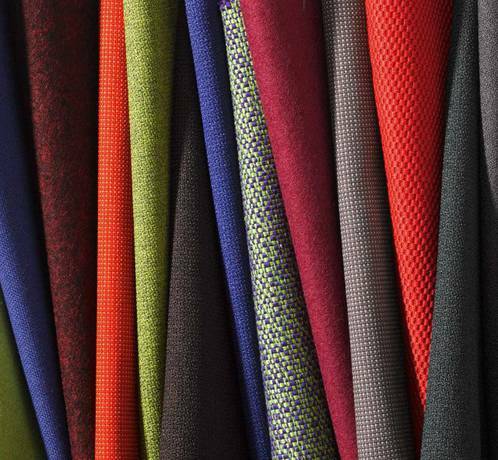 We provide samples of all fabrics, frame surfaces and table tops. After we have tested them to ensure they are suitable, we also use customised materials and other table surfaces in our products. Just ask your Wilkhahn partner or contact us directly. We’d be happy to advise you. Wilkhahn products in the new GDL technology. CAD data for all Wilkhahn products available in the new GDL technology. 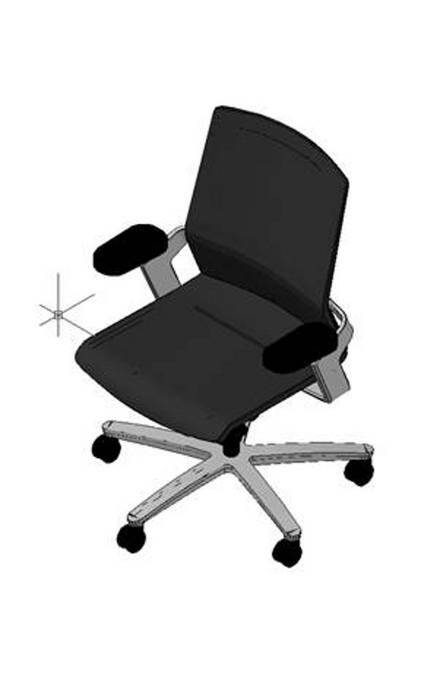 Wilkhahn provides CAD data on the entire Wilkhahn product range free of charge to designers. 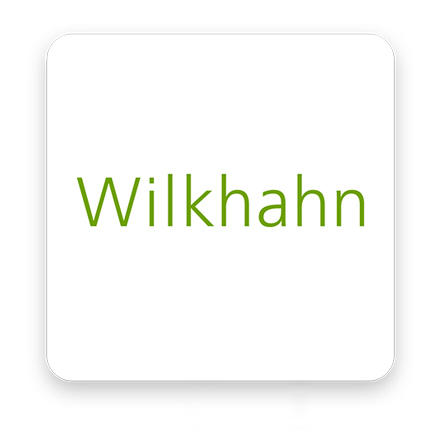 Wilkhahn has opted for Graphisoft's GDL technology to serve the variety of different CAD planning programs with their different file formats. As a result, you can directly configure furniture and easily save the model required in the different file formats: for example 3D Studio (3ds), AutoCAD/ArchiCAD (.dwg,.dxf), WaveFront (.obj), VRML (.wrl), (.jpeg). Albert Einstein once said that: “You don’t have to know everything. You just have to know where to find it”. Thanks to smartphones or tablets, information's only a click away, regardless of where you are or what time it is, whether you’re at home, out and about, or at work. As of immediate effect the office-furniture-iPad-app means that Wilkhahn is always close by too. The app is easy to navigate and intuitive to use. 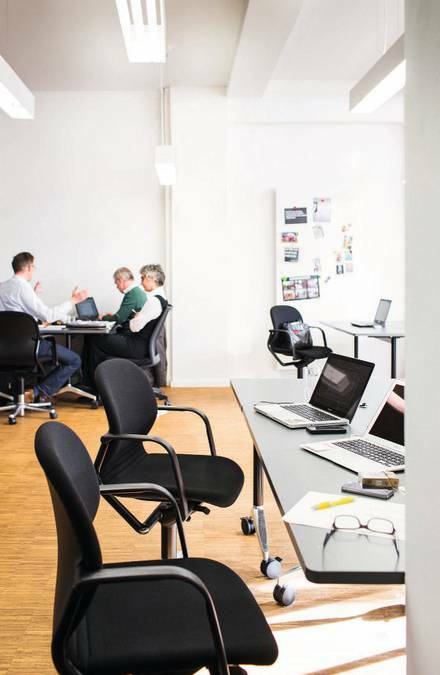 It presents all Wilkhahn products like office chairs, conference table an seating and includes interesting features such as designer interviews and company photos. Just click on the button.